CooksRecipes has quality, kitchen-tested recipes for plain and savory yeast breads that you can count on for successful deliciousness. 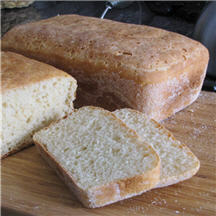 This excellent, yeast-risen English muffin bread has the nooks and crannies just like its smaller muffin cousin, but is far easier to make and requires only one rising! 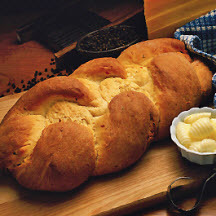 Sharp cheddar cheese, mashed potatoes and coarse ground black pepper contribute incredible texture and flavor to this golden braided yeast bread. 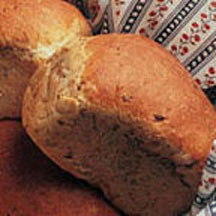 The aroma of homemade yeast bread baking in the oven has a comforting effect on the senses.